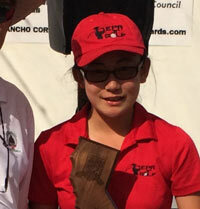 State Fair Junior Championship for Boys 14-17 was held at Mather Golf Course. 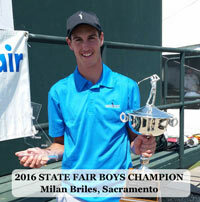 Milan Briles, Sacramento, California scored 67, 2 strokes ahead of last year’s champion Kevin Huff. Briles was the only player to make eagle on the long par 5 twelfth hole. 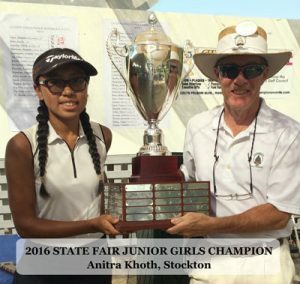 The Girls Champion at Haggin Oaks is Anitra Khoth from Stockton at 71. 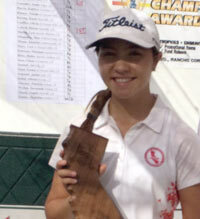 She won a three hole playoff with Sienna Lyford and Borina Sutikto with a par on the third playoff hole.